Specializing in Burgers and Sandwiches. I've been going to Schatzie the Butcher for a while. I've never paid attention that the sandwich/burger part of the shop was called Richie's. Grubhub had been recommending Richie's for a while and I finally checked it out and realized it was Schatzie. So, If you're looking for a really superior flame grilled burger on the Upper West side look no further, you'll find none better. Richie's tops anything else in the neighborhood. The fries were excellent too! Now what next? Brisket or Pastrami? Grass fed beef burger cooked to perfection. The hand cut fries are a must. This is my new favorite burger... Highly reccomended! Fantastic burgers! Fast efficient delivery. Great experience, can't wait to order again. Our new favorite go to burger place! Mmm mmm good. Everything was really yummy. Worth it!! Richie's Burger Joint had accidentally sent only one burger at first after I ordered two. I called the restaurant right after recriving Mt food and without any questions, they knew which order I was talking about and immediately started preparing my second burger and delivered it as soon as they could. The manager was very professional and kind looking to fix the mistake as quickly as possible! Great customer service and great food! This place is awesome. Their butcher shop is great, and the burger is by far the best in the neighborhood. Delivery was well within the time window. Will definitely be ordering more from Richie's! Delivery was on point this time. Best burger ever! They know how to do burgers for real, cook was on point and the quality is...well, it's simply the best. Great pub-style burger. The grilled onions blended perfectly with the American cheese, and chipotle mayo was outstanding. Will order again - soon! Perfect experience. Excellent burger and buffalo wings, delivered literally exactly on time for my pre-order confirmed time. This place is great. Richie's Burger Joint is on the Upper West Side with his family's famed butcher shop, Schatzie's Prime Meats. Burgers, Wings, Truffle Fries, ipas & Wines. 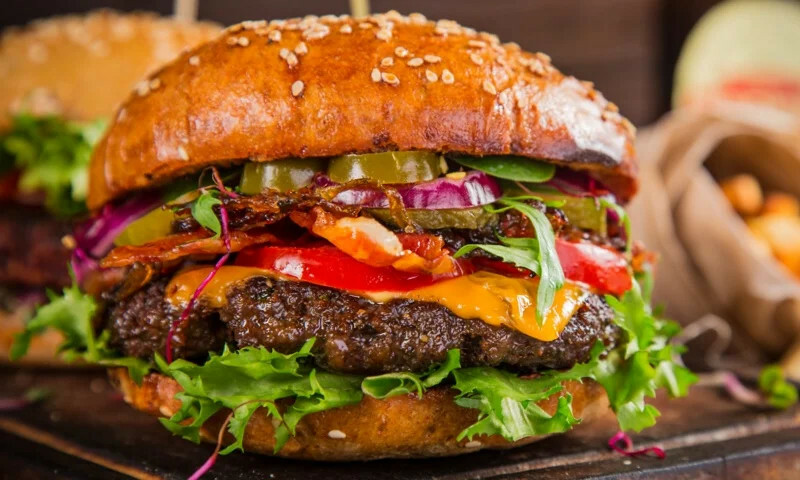 Whether you're craving a quick bite or looking to treat yourself to a delicious meal, you can now order your Richie's Burger Joint favorites for takeout or delivery.